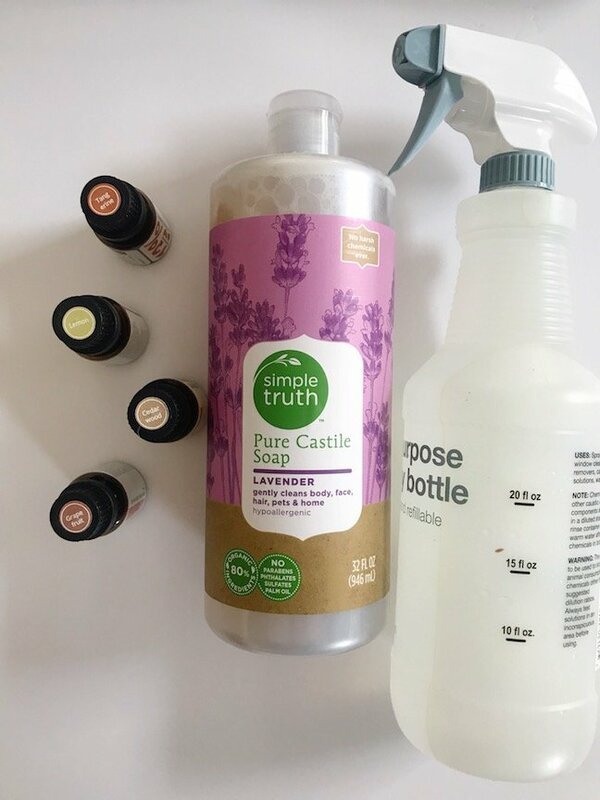 Swapping out of traditional store-bought cleaning products for DIY solutions that are more cost effective and free from harsh chemicals has been increasing in popularity. But the DIY aspect of DIY cleaning products can seem overwhelming. Take it from me – it is so much easier than you think to make your own cleaning products! And it is more cost-effective in the long run to make your own as well. essential oils (woodsy ones like cedarwood and citrusy ones like lemon or tangerine all work well). 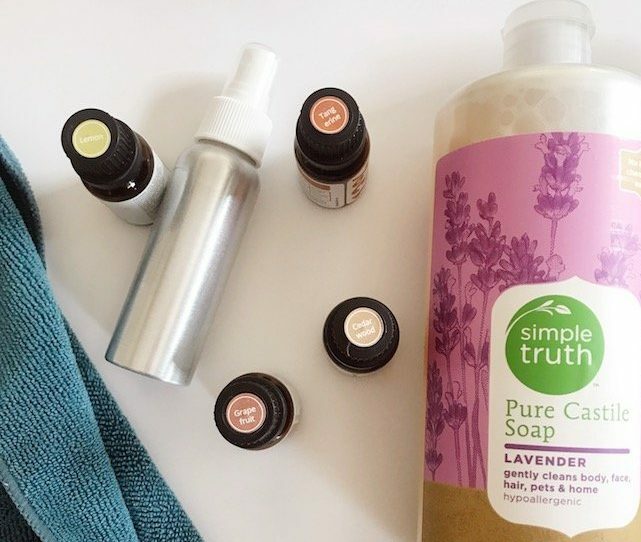 I get my essential oils from this company because they are high quality without costing a fortune and I also love what the brand stands for and how they give back with every purchase. To use, spray a couple of squirts of mixture on a microfiber dusting cloth and rub into furniture. Use more as needed. If you would like a bit more “polish” for added shine, you can add 1/2 a teaspoon of olive oil to the mixture. 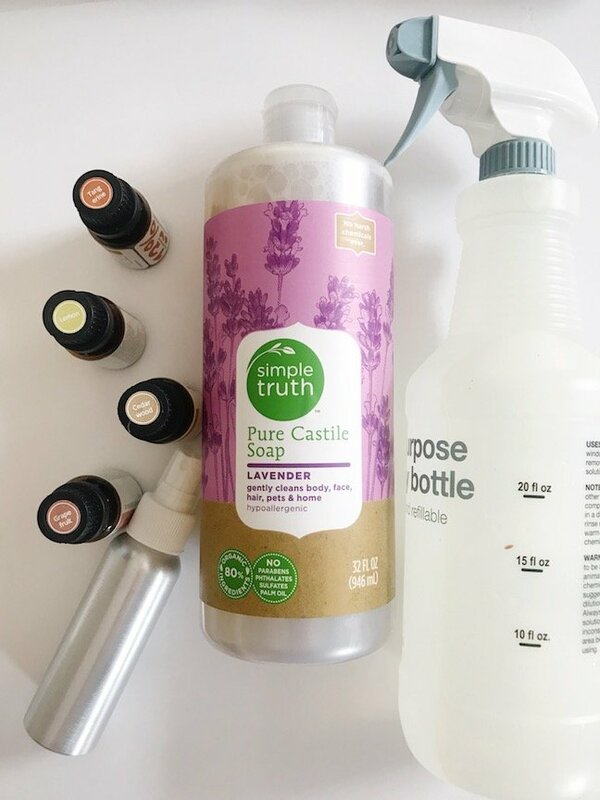 A note on your spray bottle: the purists of natural products would choose a glass bottle to hold their cleaning solution. Plastic can sometimes degrade when used to hold cleaning products or essential oils. However, glass is not always a practical choice, especially for mums of small children. Alternatively, a smaller aluminum bottle is a good choice. Or if you only have a plastic spray bottle on hand, it isn’t the end of the world to use it. I love a good cleaning hack, and when it is a “clean” one (see what I did there?) then it really is a win win! Do you make your own cleaning supplies? Will you be trying this DIY furniture polish? Chandra is a mum of three boys (8, 4, and 3) and the founder of Oh Lovely Day, a lifestyle blog with a honest look at motherhood. 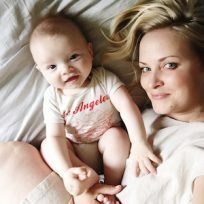 She is trying to create more of an open dialogue with a no-judgement attitude about the struggles of mothers, mental health, postnatal depression, breastfeeding, baby wearing, and just doing the best we can and not being too hard on ourselves. In that vein, she started the hashtag #battlefieldmotherhood to encourage her fellow mothers to share on Instagram as well. She believes in dance parties, desserts during nap time, and a good hike can cure almost anything. And someday she hopes to sleep and date her husband again. You can also find Chandra on Instagram, Pinterest, and Facebook.